Dean Miller Hawaiian Bedding carries a wide selection of tropical bedding, beach bedding, and surf bedding with many designs for tropical comforter. We believe that the most important thing to consider before making our products is you. That’s how we can create a “Feel like home” environment in our enterprise and deliver it to your place. You and your family deserve to feel comfortable in your home. Most important of all, in each one’s room! That’s Vianney’s mission: Incredibly soft weighted and fleece blankets with great designs, and comforters for each personality and diferent style. Choose yours! Bedding and decor products. 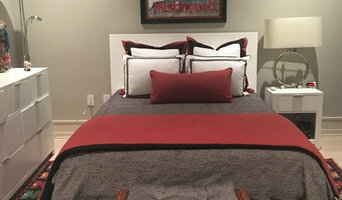 We are your complete custom design workroom specializing in Custom Quilted Bedspreads, Coverlets, and Comforters. We also manufacture all the accessories to make each bedroom design unique. From a full range of custom Throw Pillows, Pillow Shams, Dust Ruffles, Table Cloths, Bolsters, Duvet Covers, Cushions, Window Treatments, Upholstered Headboards, and Upholstered Benches to anything you can dream up. Everything can be customized and made to your specifications. 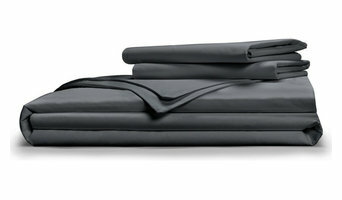 We make the cleanest and greenest eco friendly mattress protective covers in America. Available in 15 sizes, our Eco Mattress Protection is ideal for protecting your mattress during a remodel, on site storage and moving. Renting a room on VRBO, protect your bed and give your guests peace of mind that they're sleeping in a bed bug free environment! Bandhini Homewear Design is a company based on long relationships – History, Families, Communities and Villages of people – generations of craftsmen honoring culture, tradition and the art of textiles. For us, Bandhini is more than just a beautiful product – it is a process driven by passion & shared goals. In 2013, BHD celebrates its 20th year and will celebrate this together with you! A big sale will kick off celebrations, followed up by a special anniversary collection with some unique pieces, revisiting our fabrics throughout the years. MATTRESS AND SLEEP PRODUCTS TO UGPRADE YOUR SLEEP SleepCo incorporates ergonomic technology into the mattress and sleep products to provide a support that lasts for decades of comfortable sleep. The presence of lavender flowers used in the manufacturing process leaves traces of the sublime fragrance, so that users experience a tranquil start to each night. The products can be tried risk-free in the comforts of your own home so that you can feel the effects before making a commitment. Free shipping and full refunds are warranted in the event of a return because it’s all about your SleepConfidence in this first-class investment, ZZZ! Haven Place USA, inc. is a wholesaler for Memory Foam Mattresses, Inner Spring Mattresses, Toppers, Metal Faux Leather Wood Folding Bed Frames, Dura Airflow and Gel Memory Foam Pillows, Metal, Steel and Wood Bed Frames, and Box Spring Foundation. Unknown Projekt is a creative development, manufacturing, and full package company based in the heart of Los Angeles. We strongly believe in the "MADE IN THE USA" mantra. With so many resources and skilled craftsmen right here in our own backyard, why go any where else. We help designers establish a presence within the fashion and hospitality industry. Our purpose is to provide a platform where designers and creative thinkers come together, either emerging or established, can have access to services, craftsmen, and techniques which will bring to life their ideas. How do I choose the right bedding and bathroom items? Smaller details like fluffy towels, plush bed sheets, smooth bed linens and soft furnishings are perfect to welcome your private space after a long day. These are not only functional but will also add texture to the room. Creating a bath retreat does not mean a brand-new bath tub, there is plenty you can do to refresh the space by making it more functional. Storage is always a problem, so think about creatively using bathroom furniture. Bathroom accessories manufacturers in Long Beach, CA will be able to help you the best alternatives to bathroom cupboards, like ladder stands that are multi- functional yet stylish. Bathroom stands are a great way to display fluffy towels and other bathroom items. Creating a luxurious master bedroom won't be complete until you find the ideal bed sheet manufacturer in Long Beach, CA. Talk to the professionals before picking bed linen, ask about the thread count and material. If you want softer than soft, go for high thread count cotton, like Egyptian cotton, instead of the gentle jersey cotton, but if you are after crisp and clean lines, white linen is the way to go. 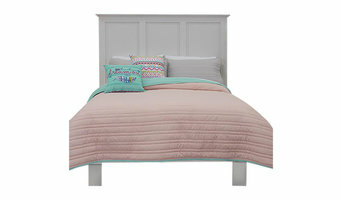 You can also opt for jewel toned bedding sets to ensure you create a perfectly royal look. Do you have a stock range of designs or can you create patterns for my towels or sheets? What ranges of GSM (grams per square metre – the higher, the more absorbent) do you offer for your towels? Find bedding, towels and bathroom accessories professionals on Houzz. You can narrow down your search for textile designers, Long Beach, CA bathroom showroom, and bathroom supplier by choosing Bedding & Bath’ supplier in the Find a Pro section. Find the most reviewed bed linen and towel manufacturers and check out photos for ideas.